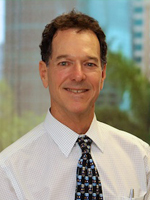 Attorney Mark E. Fried | Mark E. Fried, P.A. I have owned my law firm since April 1980. During that time I have worked with hundreds of clients from dozens of countries. Many of my clients have come to the United States to start or invest in a business. Others have come to join their family. Some of my clients have been individuals with special skills or talent (like scientists, artists or entertainers). The main thing that makes me different from other Immigration Attorneys is my ability to assess your situation and provide you with step-by-step guidance on your Immigration matter. There are over 35 different ways a person can legally enter and live in the United States. I look at each of them on behalf of my clients. As a lifelong Florida resident, I attended law school at The University of Miami and I did my undergraduate work at Florida State University. I was admitted to the Florida Bar and licensed to practice law in 1979. My commitment to the local community remains as strong today as ever. I am a Past President of the Key Biscayne Rotary Club, Past President of the Key Biscayne Beach Club and a Past President of the Key Biscayne Fourth of July Committee. I enjoy giving back to the community and helping people. Whenever you consider hiring an attorney you should always ask for references. I am happy to provide you with the contact information of several clients who have worked with me during the past 30 years.